SlotV is this futuristic online casino that brings the players some quite special games, complimented by awesome bonuses and various other features, in order to fully customize this fantastic online experience. You can start by completing the registration, so that you can become a full time member of the Slot V casino, which should quickly let you explore its virtual setting, enabling non-stop action and a thrilling ride that doesn’t need to stop any time soon. The site is also available in multiple languages, including: English, Finnish, German, Russian, French, Spanish, Turkish, Indonesian, Slovakian, Slovenian, Portuguese, Japanese, Kazakh, Italian, Thai, Polish, Norwegian, and Swedish. The promotions come in all manner of tourneys, lotteries, cash bonuses and free spins, so there’s something for everyone, and even much more than that – for adult players only (18+). Any issues and problems should be reported straight to the customer support, while most of them can be instantly addressed and resolved through the FAQ page. 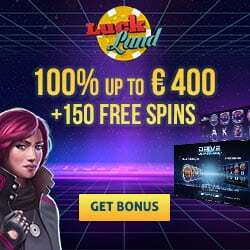 If you decide to join the online casino: SlotV, then prepare for non-stop gaming action, featuring the best video slots this industry has to offer. Whether you plan on staying for just a short period of time, or are willing to return to casino Slot V whenever you can – be ready to get plenty of gratifying benefits, which are always part of this fantastic experience. SlotV is supplied with software from Pragmatic Play, ELK Studios, Thunderkick, Side City Studios, Push Gaming, Endorphina, Red Rake, Booming Games, Play’n GO, NextGen Gaming, Amanet, bet digital, QuickSpin, Yggdrasil, booongo, BetSoft, Playson, Microgaming, and NetEnt. 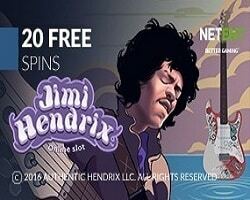 That means you can play any slots that were developed by those companies, plus a lot of other jackpot and live casino games, tables, video pokers, and many more. The casino will accept Visa, Visa Electron, Mastercard, Maestro, Neteller, paysafecard, iDeal, sofort, Trustly, giropay, Skrill, Nordea, and OrangePay. Get all the info you need from the casino’s own website.